The South of France is made of romance. Whether you’re driving winding roads over scenic mountain passes, savoring local cuisine by the sea, or strolling cobbled streets at dusk, your senses are always being seduced. My life in Toulon began seven years ago when I moved with my husband, Nicolas. I immediately fell in love with the place. The Mediterranean lifestyle has to be one of the best in the world. We live with the seasons, eat what’s fresh and readily available, and have plenty of time for leisure. 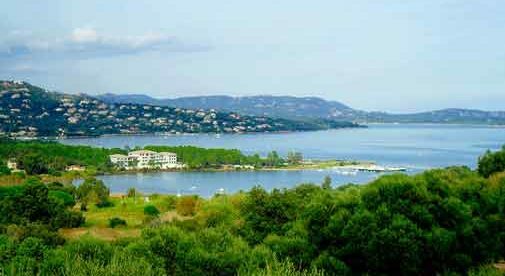 And since Toulon sits directly on the sea, this means lazy afternoons at the beach, long port-side lunches, and weekend trips to any one of the charming Provençal towns that line the coast. Living in Toulon has many benefits. First, since it’s a “working town,” it doesn’t shut down on the off-season—like many of the resort cities along the Côte d’Azur—and retains a lively, social scene all year long. You can find concerts, festival along the beach (most are free), and a thriving arts scene. The center of town is always abuzz with café-goers, locals shopping at the outdoor market on Cours Lafayette, and diners enjoy lunchtime under the famous South of France sunshine. Toulon was even awarded the distinction of being the “sunniest city in France” last year. When I’m not off enjoying the many delights this region has to offer, I’m managing an English-language school in the center of town. Salaries in the South of France are lower than Paris, but my monthly wage of $2,700 can go a long way. On my salary, I could easily afford to rent a comfortable one-bedroom for $650 in the center of Toulon. And if you increase your budget a bit—or rent as a couple—things get really interesting. When we first arrived, we rented a two-bedroom apartment, with a sea view, and just a two-minute walk from the beach for $1,090. We live very well for a lot less than I spent during my days in California. I shop at the open-air markets and not only are the products fresh and seasonal, they’re also very cheap. You can find a kilo of tomatoes for as low as $2.30, and the same price for apples and other seasonal fruits like nectarines. A big bushel of herbs—basil, parsley, and thyme—will run you only $1.20. You can get good quality cheese from $3.60 to $4.80, and meats start at about $4.80 a kilo. Perhaps most importantly, good wine is surprisingly inexpensive. Our favorite organic rosé, Les Embruns, was on sale recently for $5.40 a bottle. The major perk, working in the South of France, is the relaxed attitude compared to the States. The French prioritize leisure and family time over climbing the career ladder. Hence, the five weeks of paid vacation and the many job protections you’re guaranteed under the law. Of course, this leisurely attitude means that things don’t always run in an orderly fashion. But it allows me to enjoy my personal life more, so it’s well worth it. I almost feel like I’ve been on a permanent vacation since moving here—such is the difference between working in France and the fast-paced, career-orientated lifestyle I lived in the U.S. In France, life is lived at a slower pace, and we can enjoy all of the social benefits and protections that the French are famous for. Beyond being an incredibly stunning country, which we’ve discovered on our summer travels, living in France allows me the freedom to make a good income and still have an extremely enriching personal life. My advice to anyone who wants to move here…bon appetit.